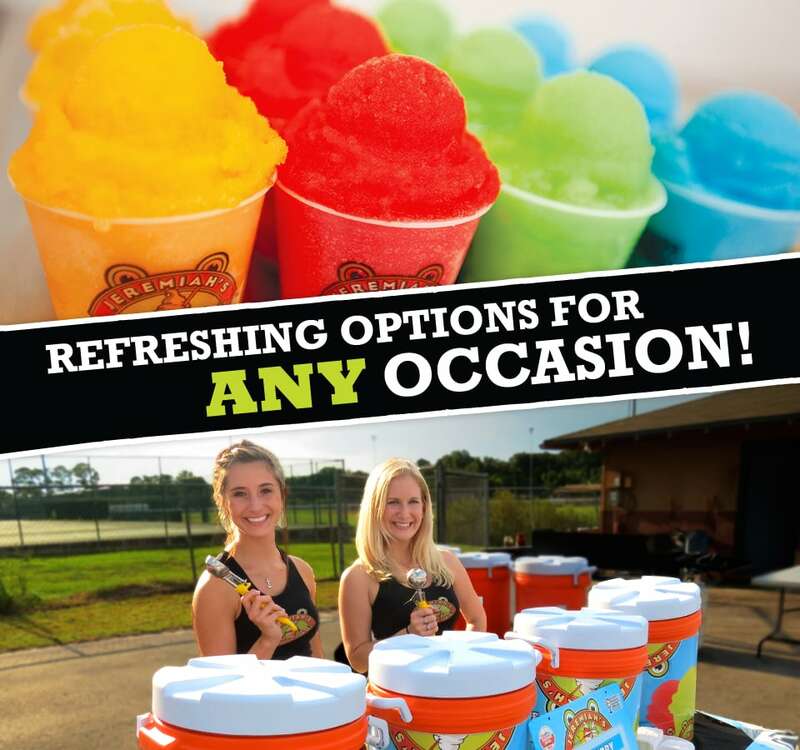 Refreshing options for any event or occasion! Jeremiah's Catering brings our tasty frozen treats directly to you! With a variety of refreshing catering options to choose from, you can be sure we will have the perfect fit. We offer Prepackaged Treats, Full Service Scooping, 'Scoop-It-Yourself' Party Buckets, AND the Jeremiah's Ice Truck! So, let's get started! Let us bring the COOL factor to your next event!